Sen. Kamala Harris (D-CA) officially announced her candidacy for President of the United States on Monday, joining what is shaping up to be a crowded fray in the double digits. Before she was elected to the Senate, Harris served as the San Francisco district attorney and California attorney general for 12 years combined. Harris, who is the second black woman to serve in the Senate, announced her bid on Martin Luther King Jr. Day, signaling she will make civil rights a focal point of her campaign. 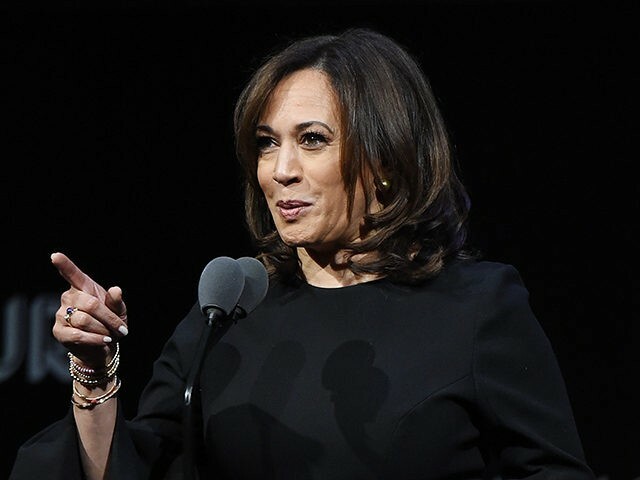 Appearing on ABC’s The View this month, Harris said the time has come for a woman of color to be president. Harris recently discussed the ongoing government shutdown in an interview with MSNBC’s Morning Joe, accusing the president of “holding the American people hostage over his vanity project” — a reference to his proposed U.S.-Mexico border wall. Harris joins what is expected to be a wide-open race for the Democrat presidential nomination. There’s no apparent front-runner at this early stage and Harris will face off against several Senate colleagues. Sens. Elizabeth Warren (D-MA) and Kirsten Gillibrand (D-NY) have both launched exploratory committees, while Sens. Cory Booker (D-NJ), Sherrod Brown (D-OH) and Amy Klobuchar (D-MN) are also looking at the race. Sen. Bernie Sanders (I-VT), who unsuccessfully sought the 2016 Democrat nomination, is also considering a campaign. 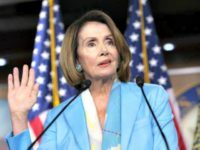 Several other Democrats have already declared their intentions, including Rep. John Delaney (D-MD) and former Obama administration housing chief Julian Castro. Former Vice President Joe Biden and ex-Rep. Robert Francis “Beto” O’Rourke (D-TX) are reportedly considering presidential campaigns of their own. Harris is already planning her first trip to an early primary state as a declared candidate. On Friday, Harris will travel to South Carolina to attend the Pink Ice Gala in Columbia, which is hosted by a South Carolina chapter of the Alpha Kappa Alpha Sorority, which the California senator pledged as an undergraduate student at Howard University. The sorority, founded more than 100 years ago, is a stronghold in the black community. South Carolina, where black voters make up a large share of the Democratic electorate, is likely to figure heavily into Harris’s prospects. And early voting in Harris’s home state of California will overlap with the traditional early nominating contests, which could give the 2020 hopeful a boost. Harris’s campaign team is already taking shape and includes several veterans of Democrat politics. Juan Rodriguez, who ran Harris’s 2016 Senate campaign, will manage her presidential bid. Her sister, Maya Harris, a former top adviser to Hillary Clinton, will be the campaign chair. The veteran campaign finance lawyer Marc Elias will serve as the Harris campaign’s general counsel, and Angelique Cannon, who worked for Clinton’s 2016 campaign, will serve as national finance director. David Huynh, who was Clinton’s director of delegate operations in 2016, will serve as a senior adviser. Further Lily Adams, a Clinton campaign alum who has worked as Harris’s spokeswoman, will be communications director. Her staff says she plans to reject the assistance of a super PAC, as well as corporate PAC money. Harris invested heavily in cultivating a digital, small-dollar donor network before her presidential bid. In December, a top aide to Harris resigned over revelations he was involved in a harassment lawsuit and $400,000 settlement while working for the state Department of Justice. Larry Wallace, a senior adviser in Harris’s Sacramento office, stepped down from his post after the Sacramento Bee inquired about the 2017 settlement, the newspaper reported. The lawsuit by Danielle Hartley alleges Wallace harassed and demeaned her based on her gender while she was working for him, according to the Bee. Hartley says Wallace placed his computer printer under his desk and routinely asked Hartley to crawl under to refill it with paper, while he was sitting there and sometimes with other men in the room. He also asked Hartley to do personal tasks not related to work. Hartley began as Wallace’s assistant in 2011. She reported the harassment to her supervisor and felt she was retaliated against, according to the lawsuit. She was transferred to another Department of Justice office by the end of 2014.